Does your agency need a new vision? If so, it's time to develop a new vision. 1. It envisions the future of your agency and its commitment to the TJC model. The vision should articulate how the organization or system would be functioning in several years. Commonly, a visioning exercise asks the question “in five years, our organization or system will be an organization that….” This exercise is used to develop long-term goals and a picture of what the organization is striving for. 2. It is collaboratively developed. Developing the vision collaboratively increases the chance of it becoming a shared vision. It is important to take the time to create a shared vision so that the voices and values of system stakeholders are reflected in the organization's work. This collaborative approach has impact beyond the formulation of the shared vision, because it accommodates transformational leadership practice as people reconnect with the overarching purpose of their work as professionals. This leads people to perform at a higher level as they strive to attain outcomes beyond personal compensation. Within any system or organization, the best place to start is with a group of leaders discussing system or organizational practice and establishing a need for system change. Through visioning exercises, they can identify common views and values. Identifying a set of common views and values across diverse system stakeholders offers both a base on which to build consensus about the initiative's mission and goals, and offers direction for next steps, including a mission statement. 3. It is flexible enough to allow many different stakeholders to understand how they contribute to the attainment of improved outcomes for incarcerated populations. Remember that the vision must be easy to explain to everyone who needs to understand the model, including the public. The vision should reflect and contribute to the work of a community reentry committee or criminal justice coordinating council. 4. A mission statement flows from it. The vision should give shape to more immediate actions, including the development of a shared mission. An effective shared organizational mission should be measurable and reflect the values and daily practices of that organization or system. Each action within an organization or system should be measured against the mission statement. Mission Statement: The Douglas County Corrections Division mission is to provide safe, secure, humane, and legal treatment for all inmates through direct supervision management concepts while fostering a safe and successful transition through interventions, programs, and services from the facility into our community. The vision should be no longer than a paragraph. The vision should stand for a very high, perhaps even unattainable, level of excellence. The vision should inspire others to strive for common goals beyond their self-interests. Visioning must be a collaborative process. The mission should be developed to ground the vision and reflect practices that the organization accomplishes on an ongoing basis. The mission should be no more than a paragraph long, measurable, and stated simply. The mission should reflect the shared value and practice of involved organizational stakeholders. The mission should articulate the overarching practices, actions, or outcomes that make it unique and contribute to the best interests of all served. To reduce recidivism and improve the quality of life and safety in the Denver community. The jail to community collaborative connects participants transitioning from jail with supportive skills, resources, and relationships to promote positive community involvement and a safer Denver. Invite those supervisors charged with developing a shared vision and mission to a meeting or engage them during in-service training. Leave plenty of time (block out at least two hours), so useful discussion can take place and not be cut short by daily tasks. This demonstrates the importance of this work, and when a process is led collaboratively, it shows that leaders value staff input. You might want to start by discussing the issues and barriers people face after release from jail. Next, share a draft mission and a description of the process that led to this point, and ask them for their opinions. Line staff should be engaged to strengthen the vision and mission and be encouraged to suggest changes consistent with TJC implementation efforts. As part of this discussion, they might be asked what we (including the leaders) as members of the organization can do to enhance long-term public safety even more. It should be expected that line staff of all walks within the criminal justice system will have diverse views regarding what should or should not happen with the incarcerated individuals. None of their views should be dismissed; rather each of their views and values should be discussed in the context of actual practices and policies and their effectiveness in enhancing long-term public safety. Here are more ideas about how to get buy-in of the vision from your staff. 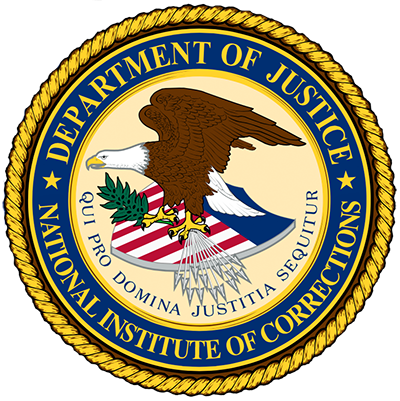 The TJC model is consistent with the historical mission of “correctional” agencies. Agencies that infuse their culture with transitional programming are those that typically run the safest and cleanest facilities; better manage correctional populations, maintain safer facilities, less stress, and provide an environment that promotes safety and health. Reentry is a systems approach to solve a problem that affects all organizations associated with criminal justice populations. The TJC model is a system, not a program. Participation within the implementation and application of the TJC model will prompt staff to become part of the system and offer the opportunity to interface with other system professionals. When implemented and applied properly, the TJC approach will result in outcomes that stop the “revolving door” that staff see on a daily basis and make real, measurable contributions to a safer community. The vision isn't final until everyone involved in the process of developing it has had a chance to discuss it and add their thoughts and suggestions. Recognize that you are increasing the chance of buy-in by taking the time to discuss, get feedback from, and implement the suggestions of all stakeholders, including those within the community. Policy, procedures, and directives will need to be tied to the vision and mission. Don't expect that buy-in is automatic and realize that everyone will not share your enthusiasm for this approach. The TJC concept is ongoing and will need adjustment over time based on the needs of the system and community. Click here for a TJC Leadership Profile on Christopher Donelan, Sheriff of Franklin County. 1. Adams, Don. “The Pillars of Planning: Mission, Values, Vision.” A short article on the difference between mission, values, and vision. 2. Denver Sheriff Department. Mission statement with desired outcomes and initial strategies. 3. Orange County, CA. The TJC Vision Statement for Orange County. 1 Lorri A. Manasse, “Vision and Leadership: Paying Attention to Intention,” Peabody Journal of Education 63 (1985): 150–73. 4 Frances Westley and Henry Mintzberg, “Visionary Leadership and Strategic Management,” Strategic Management Journal 10(1989): 18–19. 6 Joel Barker, “Famous Joel Barker Quotations,” http://www.quotes.net/quote/10490 Joel Barker Famous Joel Barker Quotations. 7 Lee G. Bolman and Terrence E. Deal, Reframing Organizations: Artistry, Choice, and Leadership (San Francisco: Jossey Bass, 1991). Be identified by the leader. Describe what is currently wrong. Articulate how the organization will function. Now that you have completed this section you understand that the development of a new vision and mission may be important for the successful implementation of the TJC model. While a vision may exemplify a very high level of excellence, the mission grounds such ideals in everyday institutional activities. You recognize that it is vital to involve staff and other stakeholders in the process of formulating the vision and mission.